Home » Blog » Why the World Needs Midwives! The world needs Midwives! New Jersey needs Midwives! Madison and Hackettstown need Midwives! In this short video describing a journal series about Midwifery in the renowned medical journal The Lancet you will hear that Midwifery is the known solution to the abysmal maternity outcomes throughout the world! It even goes so far to say that Midwifery Care is the solution for the human rights atrocities that women and children encounter every day around the world. Midwives are not just for countries who can’t afford doctors. This video clearly states that all women and babies have core needs that are best provided by midwives. A small proportion of these have needs beyond the norm where advanced medical care should be available. This is a great video to share with your “intellectual” friends who think midwives are old-fashioned or poorly-trained or even dangerous. Spread the word about Midwives. Your friends and family need this information. The Midwives of New Jersey are working hard to provide quality care in our 2 offices in Hackettstown, New Jersey and Madison, New jersey. 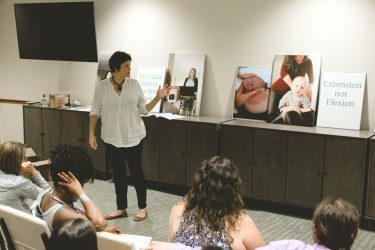 We aim to provide accurate information about Midwifery and maternity/women’s wellness care on our website, on our reality series Our Lives, Our Births and through local events like our Wellness Fair on June 4th and our Movie screenings.